So I'm a wee bit behind the times but in my defence my order didn't come until mid week this week so forgive me! I'm still enjoying seeing others' hauls even if the stuff isn't available anymore so I thought you might like to see mine. First of all, I have a confession.... I'm a Virgin... well a Lush virgin that other ship has sailed a long time ago. My first memories of lush are as a teen going in to this shop that sells just stuff to wash with and being overwhelmed. Since starting my blog I see it everywhere and needed to get in on the action. Lush, to me, is pricey, so when I saw the sale where things were half price I jumped on it. Right I'm going to warn you now- I'm crap with scents so I'll try haha. 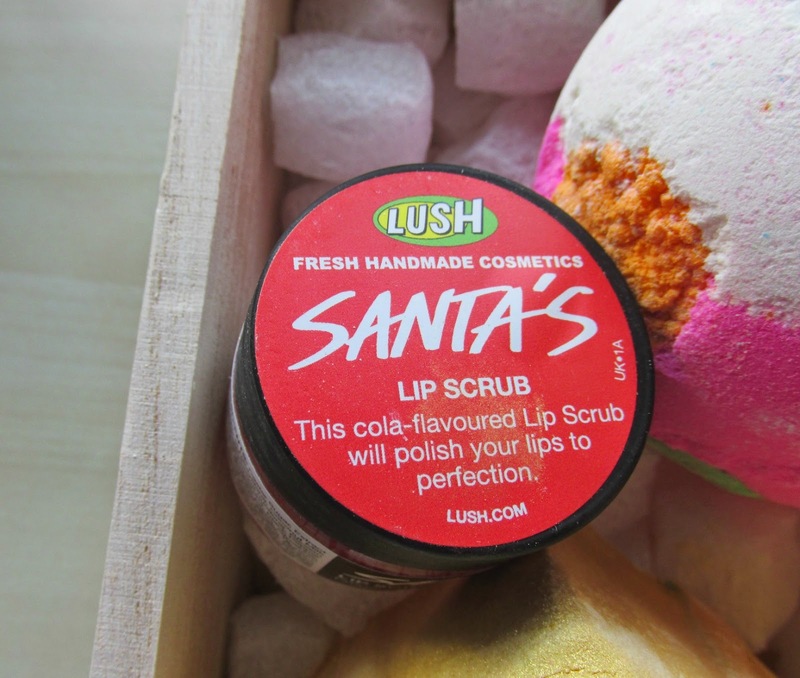 Well as the picture says this is a cola-flavoured lip scrub. It's basically just a sugar scrub with oils and flavours. I've used it a couple of times now and I have to say it smells amazing and tastes good too. I find it a tad messy though so if you have any tips please let me know. These have a kind of lavender scent which I really don't normally like but it's mixed with something sweeter which makes it less 'old lady'. They apparently smell like the comforter and go all different colours in your bath, I haven's used them yet but it sounds interesting. These are covered in glitter, like properly covered. 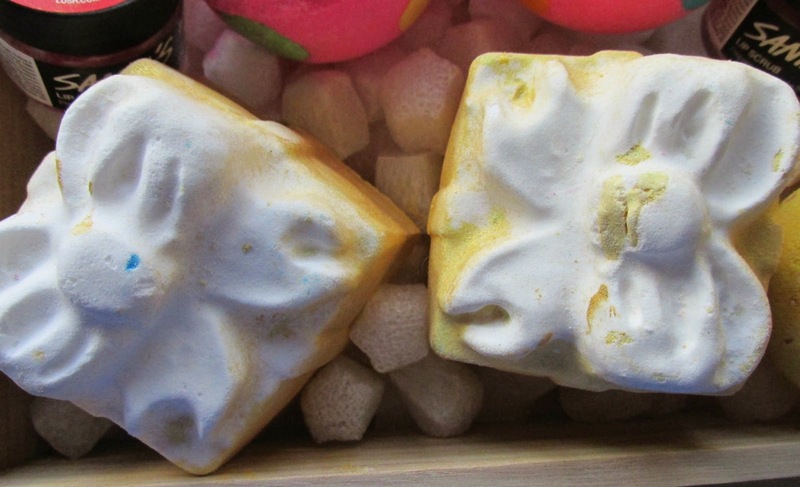 They have a nice sweet and fresh citrusy scent- apparently the same as 'Snowshowers' bath jelly. I haven;t used these yet either but apparently they have little gold stars inside- ooh! Look how cute this wee man is!! This is another sweet, citrusy smelling bomb. It smells very similar to golden wonder. 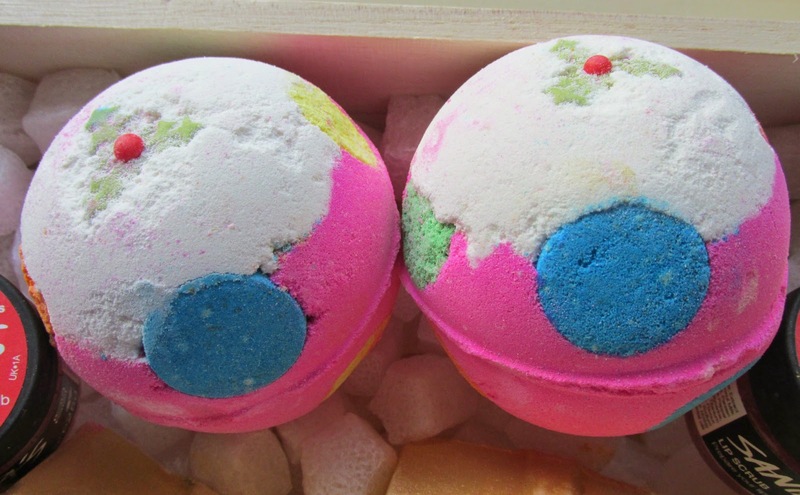 Next is my favourite- Cinders Bath Ballistic. This wee thing has scented my whole house since I laid them out in the bathroom. It's a sweet burnt toffee, cinnamon, warm amazing scent. I really wish I'd bought more. It's got popping candy in it too! 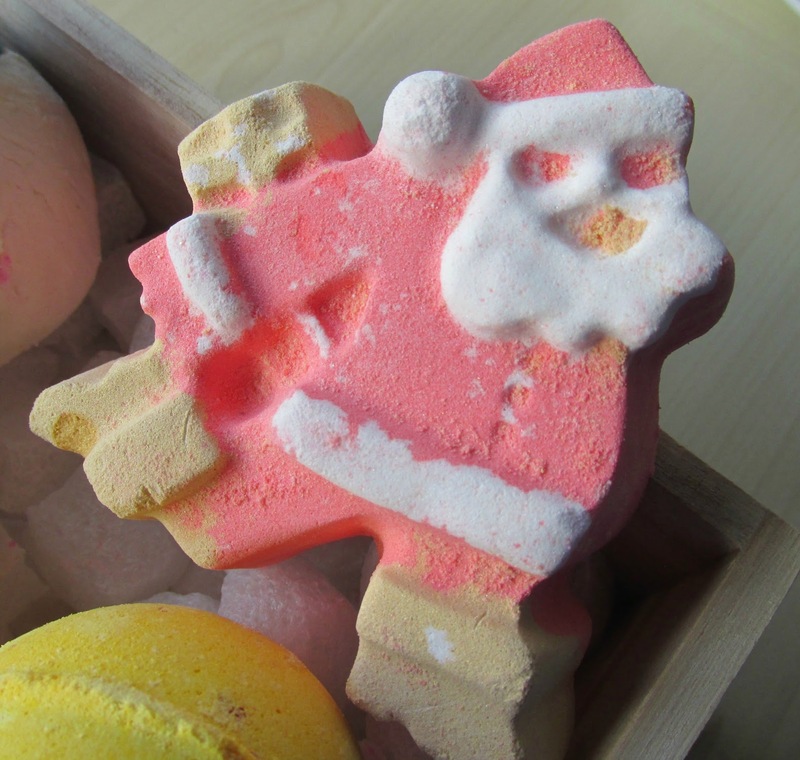 Last but by no means least is the Penguin Bubble Bar. Another wee cutie, I'm going to feel bad when I break a bit off him to crumble under my tap. 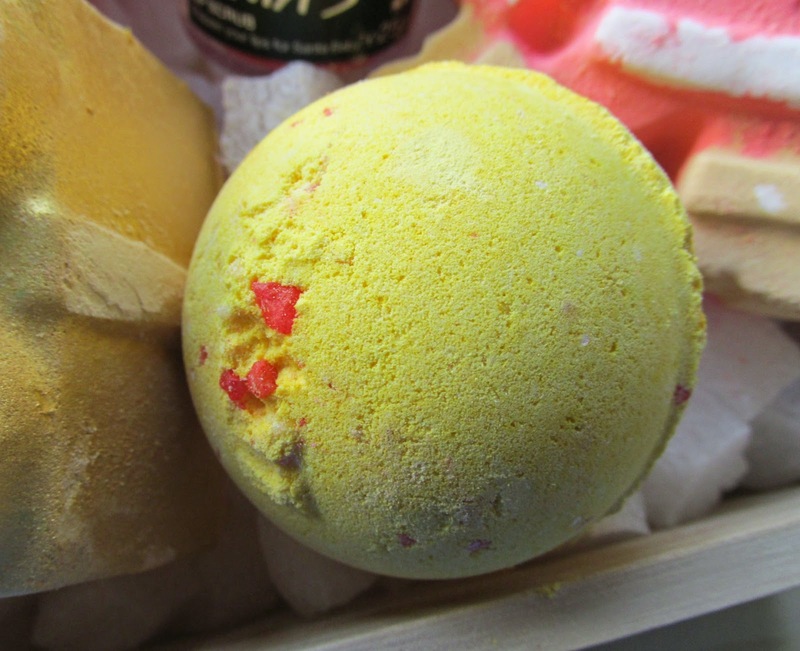 The scent is again citrusy and a little bit floral, I'll probably use him along with a bath bomb to give me some bubbles. 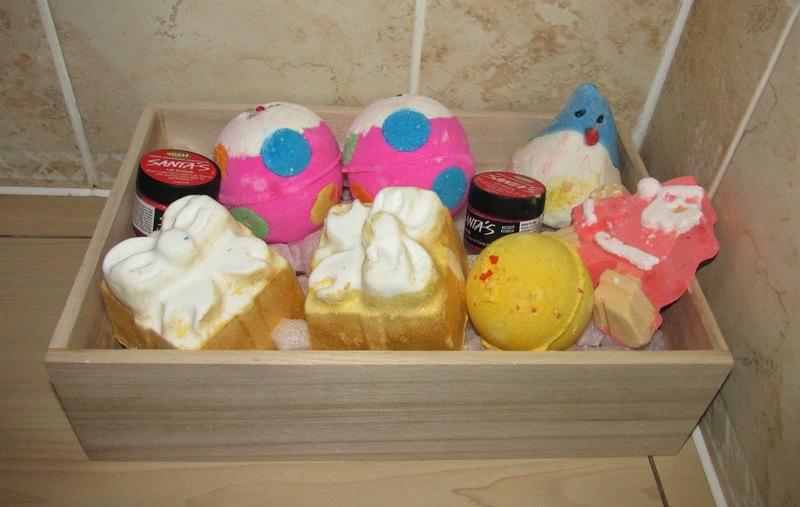 So there you have it- my Lush haul, it will keep me going for a while. 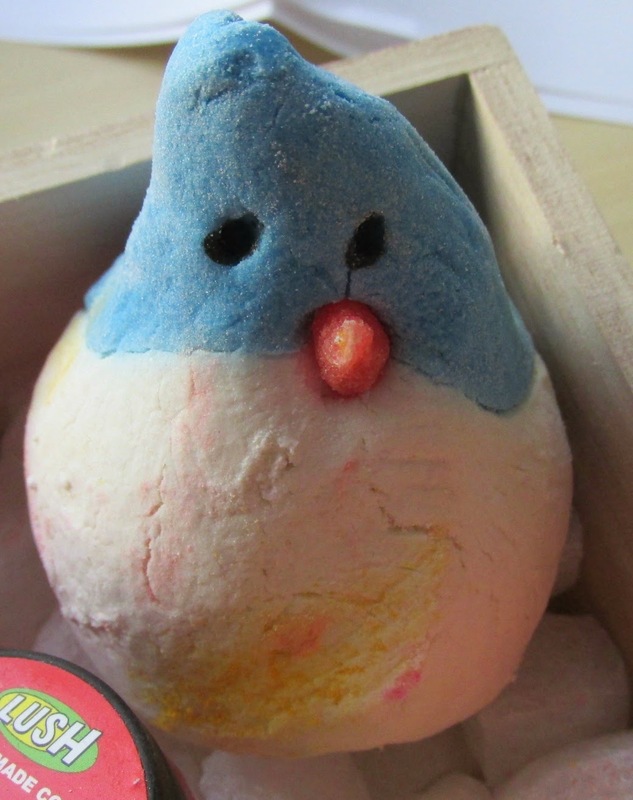 One thing that did annoy me was that the products came delivered without wrapping meaning my bath bombs made everything dusty and the colours transferred but no biggie I suppose and everything arrived in one piece so I can't complaint. Did you manage to snag a bargain? Let me know in the comments.